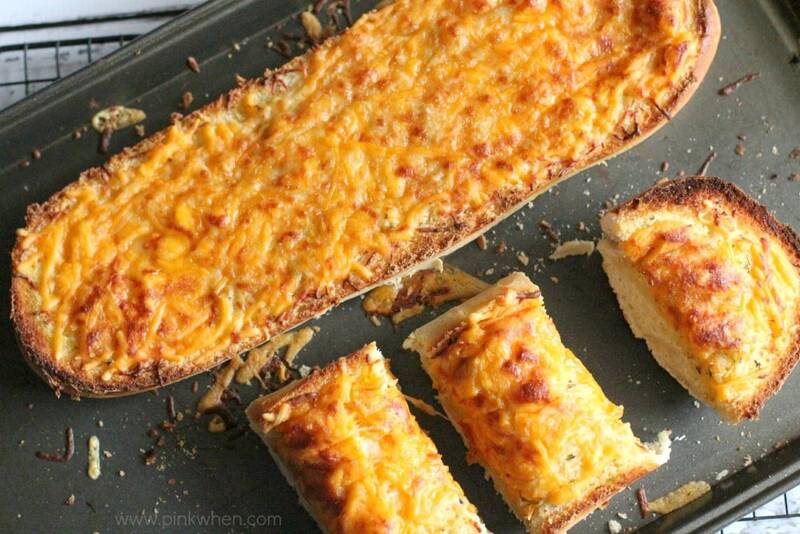 You can’t have an amazing dinner without serving an easy Cheesy Garlic Bread. 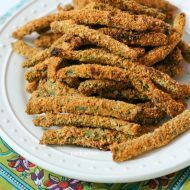 This recipe is so easy and so delicious. It’s one of my favorites and possibly soon to be one of yours as well. 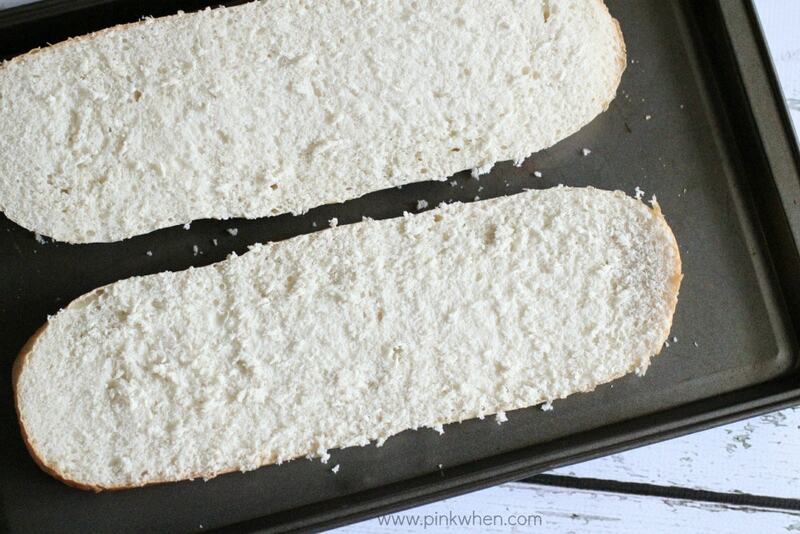 Grab this easy bread recipe and save it. It’s one we make often at our house. 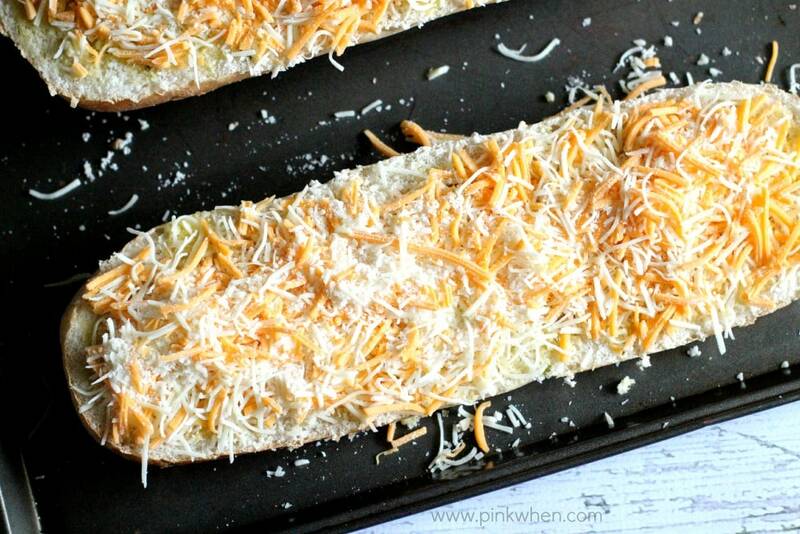 One of my favorite things about this cheesy garlic bread is that it only takes a few minutes to make. You don’t have to make bread from scratch for it to be delicious, just grab a loaf or two from your grocery store or local baker and start from there. What cheese is best for Garlic Bread? This is the perfect mixture for cheesy garlic bread. How do I Make Cheesy Garlic Bread? 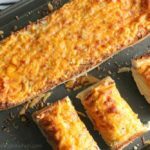 Cheesy garlic bread is an easy recipe when you are making it with already fresh-baked bread from your local baker. I just grab my loaf, butter, olive oil, and cheese about 10 minutes before I plan to serve dinner. What recipes do I serve cheesy garlic bread with? Take the bread and slice it through the middle, creating two long pieces. Once the butter mixture is ready, take a brush and brush it over both halves of the bread. Take all of the cheeses and mix them together well. Cover each loaf with the cheese mixture as completely as possible. Place in the preheated oven for 10 minutes, or until the cheese is bubbly and starts to turn brown. 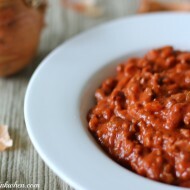 I hope you liked this recipe! You might also like these Portuguese Sweet Rolls or these Gluten Free Garlic Herb Rolls. 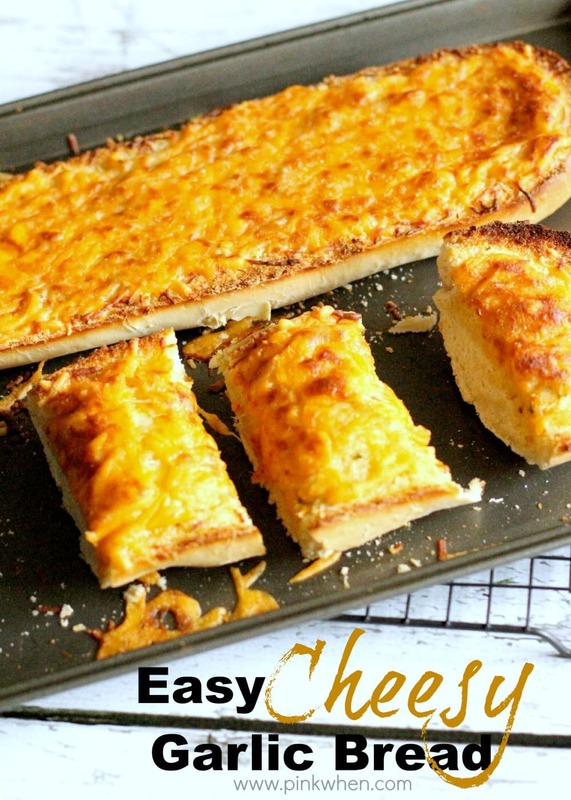 A deliciously easy cheesy garlic bread recipe. Cut loaf of bread into two halves. In a small pan over medium heat melt butter with olive oil, garlic, and parsley. Brush the butter garlic mixture over the bread. Take all of the cheeses and mix them together well. Cover each loaf with the cheese mixture as completely as possible. Mm.. you add the best ingredients to this. I can just smell and taste it fresh from the oven. Your garlic bread sounds sooooo delicious, and I’m sure it smells just wonderful as it bakes! 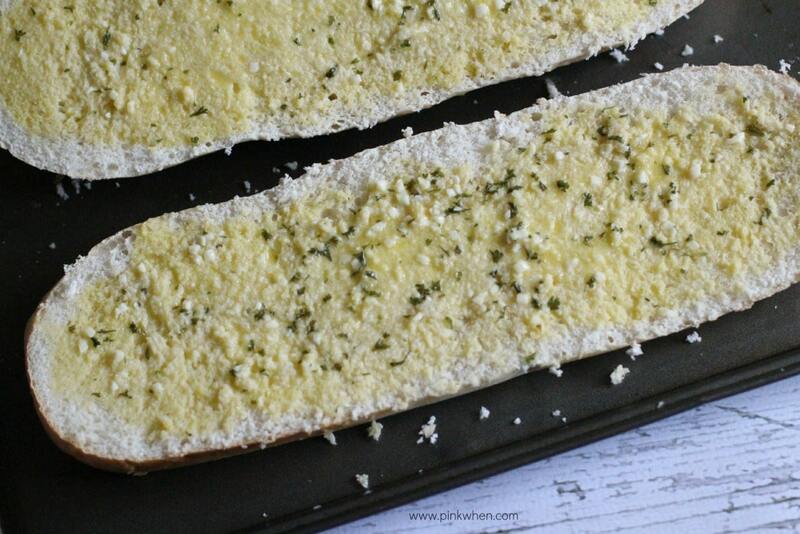 This garlic bread seems easy to make and looks so delicious! Easy and cheesy! I’m in! Thanks so much for linking this up at Best of the Weekend! Mmmm…yummy! 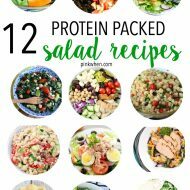 My husband and kids would tear this up! I’ve got pasta on the menu next week, so I printed this recipe so I can make this garlic bread to go with it.